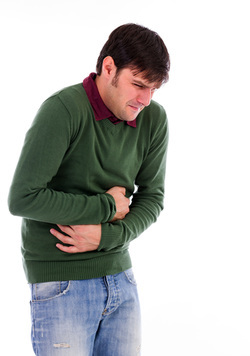 Which type of digestive disorder can be treated with Oriental Medicine? Throughout its 5000 year old history, Oriental Medicine has been treating digestive disorders with great success. Some of the most common digestive disorders treated in our clinic are weight gain, distention, abnormal bowel movement, hernias and ulcers, acid reflux disorder, indigestion, and chronic fatigue. Why is good digestion so important? Most people have heard the saying, “we are what we eat”. In Oriental Medicine, we believe that the digestion is the source of most of our sickness. Most children exhibit symptoms related to indigestion due to a weaker digestive system. Many adult disorders are also due to indigestion as a result of our childhood. In Oriental Medicine, we talk about food as one of the three essential energies. The other two energies are air and emotion. If the food we eat is harmonious with our system, than we can overcome almost any sickness. How are digestive treatments carried out? In China, dating back about 2500 years ago, there lived a man named Lee Dong Yuan. Dr. Lee published a book of very detailed herbal formulas for a variety of disorders. Each one of these formulas were focused on strengthening the digestive system. Today, among many of great teachings, we still use these herbal formulas to treat a variety of disorders. Acupuncture is another way in which we treat digestive disorders. With acupuncture, we choose points located along energy channels which help enhance and harmonize the digestion. If I had chronic digestive problems for many years, can it still help? Absolutely yes. Acupuncture and Herbs work slowly but very consistently at strengthening the stomach and assisting the ability to break down foods efficiently. What are some other ways that you treat digestion? In many cases, digestion is related to how we feel emotionally. For example, stress directly affects our appetite. Oriental Medicine is a holistic medicine. Focus is not just on the digestion. Acupuncture and herbs also help to harmonize the spirit in order to help with stress, sadness, anger, etc. Each one of these emotions have a direct effect on the digestion. Does eating the right foods help? Definitely. food IS medicine. In our clinic, we work one on one with our clients in order to establish a diet which fits their body’s needs. However, in many cases, food alone cannot do the job. In these cases, acupuncture and/or herbal medicine will be used in conjunction. Which Herbs & Foods Help with Digestion? In our clinic, we practice a form of Oriental Medicine called, “Four Constitutional Medicine”. This medicine focuses on our own individual and unique “body type“ No specific herb is good for everyone. specific herbs that are good for everyone. Each patient requires their own special attention when making an herbal formula. This information is obtained by taking the pulse, looking at the tongue, and getting to know the patient as much as possible. Foods, although less potent, also follow the same guidelines. Can improving my digestion help me lose weight? Many of us gain weight even if we eat the right foods and exercise. If you are one of these individuals, the answer to this question is absolutely yes. If you aren’t, then you face a difficult challenge. No matter what answer you provided, Oriental Medicine can definetly help. In our clinic, we work closely with our clients in order to establish a suitable diet and exersize plan along with herbs and/or acupuncture.